There is a huge research for maculopathy. Even stem cells have been tried for maculopathy, with no success yet. Researchers are studying INTEGRINE antagonists, and, through nanotechnologic platforms, cellular systems able to release intraocular medications (microimplants). 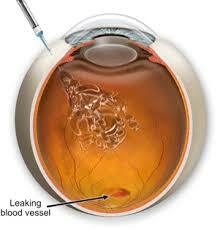 Slow release medications are currently at study, in order to avoid repeating injections inside the eye every month. For treating exudative maculopathy linked with retinal venous thrombosis there’s a great solution: a cortison implant that stays inside the eye for 3 months. It seems to be useful also for treating diabetic maculopathy. all these therapies can be combined among each other. After having consulted several doctors, last year I turned to Dr. Badalà because I felt a discomfort to the eye. At first sight Dr. Badalà realized that there was something wrong in my right eye and, after a thorough e... Keep on reading this reviewxamination and an OCT, he confirmed the presence of a hole in the retina (which no other doctor had seen before) and he suggested me a vitrectomy. After consulting other doctors who, despite having confirmed the diagnosis, suggested me to wait, I decided to entrust Dr. Badalà, because he inspired me with confidence during the visit. I had a vitrectomy under local anesthesia about five months ago. The surgery was good and my eyesight has improved and I no longer see distorted images. The thing that struck me most is that at first I was so used to don’t see well that I didn’t realize it, so much so that I had turned to Dr. Badalà just for a burning sensation to the eye. Thanks to the professionalism and accuracy of Dr. Badalà today I realize I see much better. Want to be free from with Experimental Therapies?